One of the most anticipated tournaments of the season, the Ledgestone Open draws players from across the nation to battle with tough OB in the hopes of coming away with a large paycheck. This year, the course at Lake Eureka was modified to give players a little extra room on the fairways, but that didn’t prevent scores from sometimes coming in unusually high. 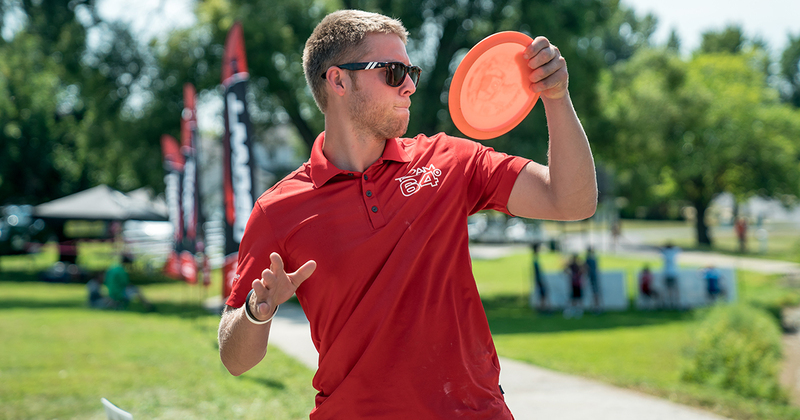 Several players made the most of the tournament, including Reid Frescura, who used this year’s event to bring his disc golf game to the next level. We got the chance to chat with Reid and learn a bit more about what Ledgestone was like for him and how he felt about his 4th place finish. You may not have heard Reid’s name much outside of the greater Michigan area, but that’s all about to change. 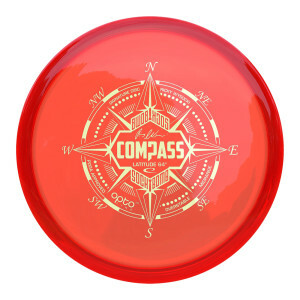 Having played disc golf since 7th grade, thanks to an introduction by his brother, Frescura is currently a part-time player who is planning on hitting the open road next year on a full-time tour. He’s played Ledgestone in the past when stroke and distance were in play, and after learning from his mistakes, he felt much more confident this year on the course. “Once that’s gone [stroke and distance] I thought maybe I could go for it. This year they did a better job with the course and widening up the OB. If you can stay inbounds at Ledgestone you’re gonna do great,” he said. Rounds two and three were stellar, as Frescura shot a 1061-rated and 1068-rated round respectively. His performance was enough to put him on the lead card on Sunday in front of a huge gallery and a live broadcast. This energy, he said, gave him the motivation to put on a good show for the crowd without doing anything too crazy. “Getting the experience of being on a lead card like that was huge,” he shared. 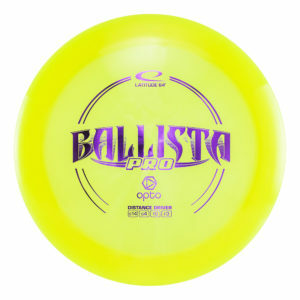 More than anything else, he reached for his Opto Ballista Pro. He has a pop top one that gives him the consistent reliability of always flexing back. “The Compass is always a huge part of my game,” Reid said. When he needs a get out of jail card, this disc is his go-to. 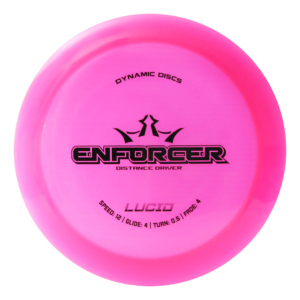 Certain holes called for specific discs, like hole 10 where Reid opted for his Lucid Enforcer. It wasn’t just Reid who ended the tournament on a solid note, as both the men and women on our team did exceptionally well. Ricky Wysocki climbed his way up the scoreboard to finish in 8th place, while Bobby Musick tied for 9th place. JohnE McCray finished in 19th with four solid rounds, and Rebecca Cox shot some pretty clean golf to land her in 6th place in the FPO field. There are only a dozen days or so until the next big event, the MVP Open at Maple Hill. 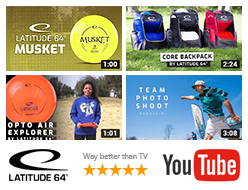 We wish our Latitude 64 team members the best of luck and can’t wait to watch them play! Hole 17: All four days @rfrescura has skipped off the water. All four days he has made the island.